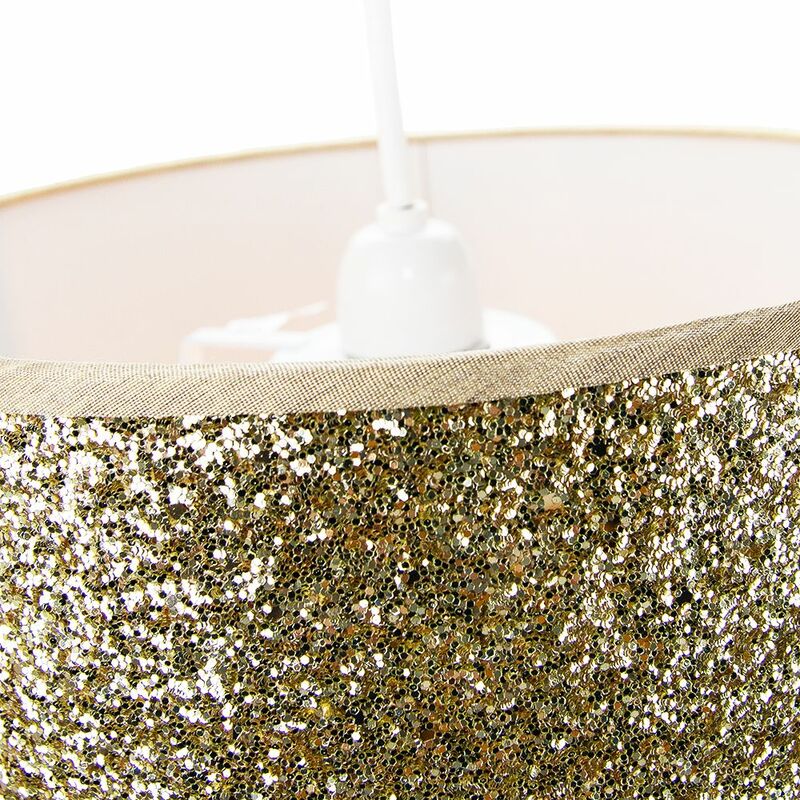 Contemporary and unique non electrical pendant light shade. Simply attaches to your existing pendant rose. 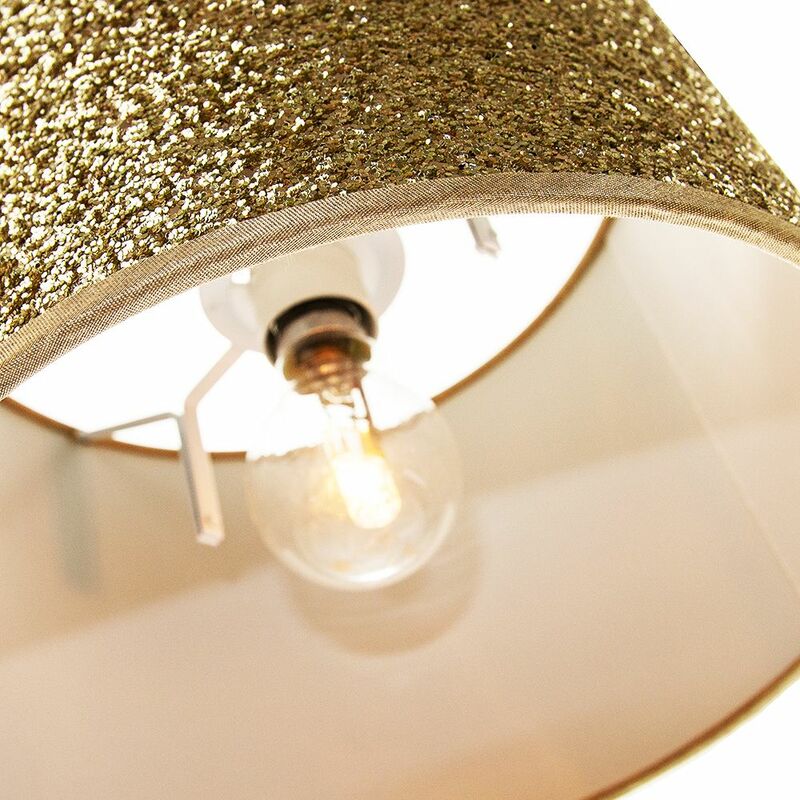 High quality gold glitter fabric material which creates a stunning effect when light shines through. Maximum wattage allowed is 60w. Please note that ceiling rose and cable is not included - pendant shade only being sold. 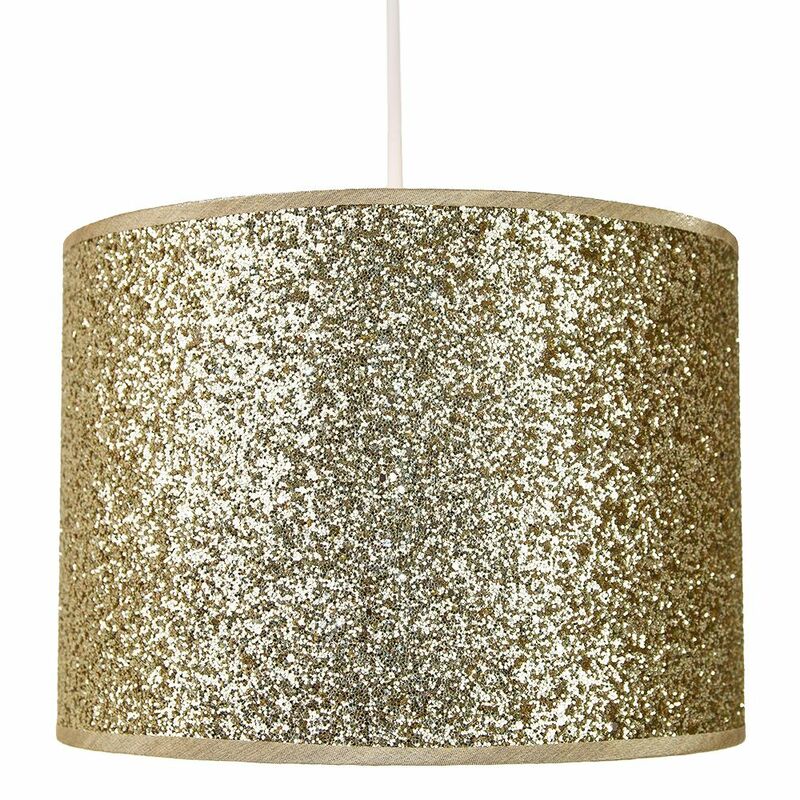 This product features a reversible gimble allowing for the shade to be used as a pendant or as a table lamp shade. 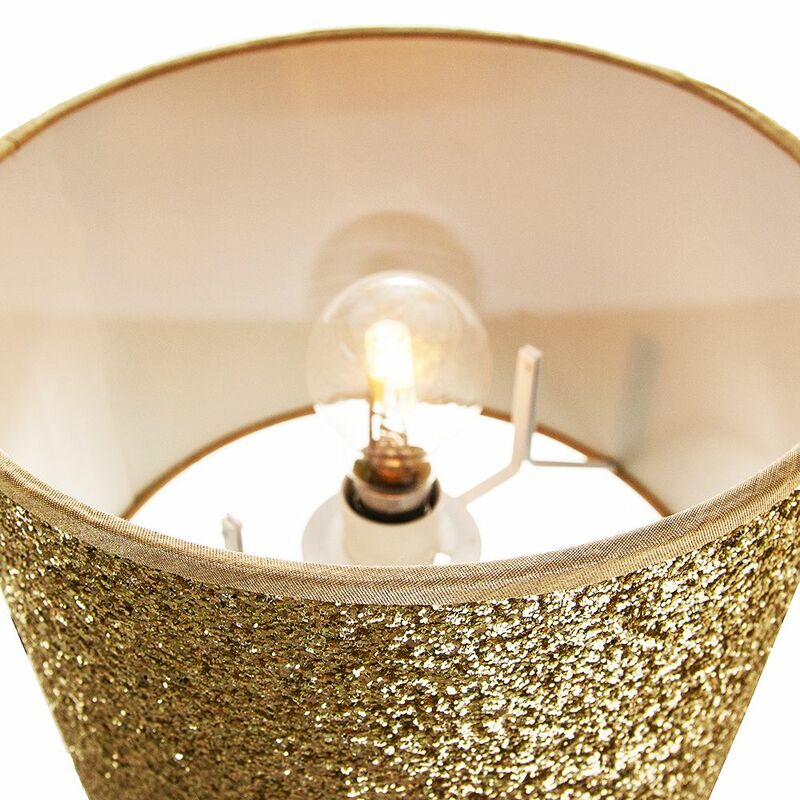 Complete with shade reducer ring allowing for most lamp bases - B22/BC, E14/SES and E27/ES.